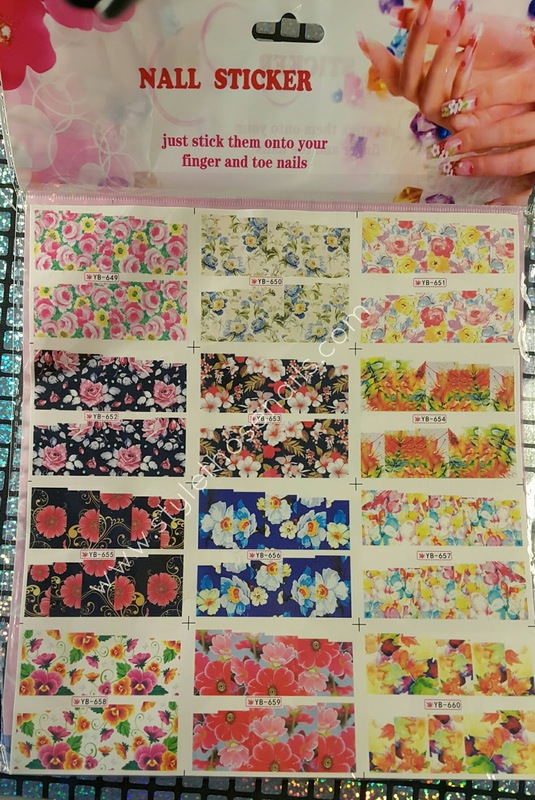 I was sent a full sheet of water decals and they are total 12 in one sheet. All decals are beautiful and of nice quality. 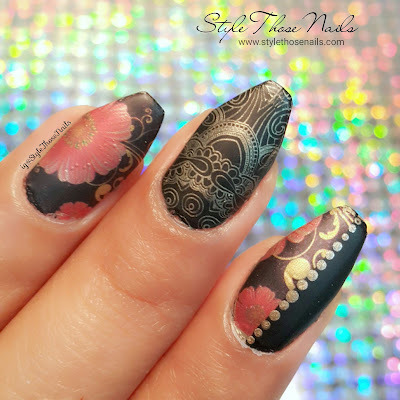 I really like decals as they are so easy to use and mess free way to create a beautiful nailart, but I wanted to use them differently so here I am sharing two ideas of using them in a different way. 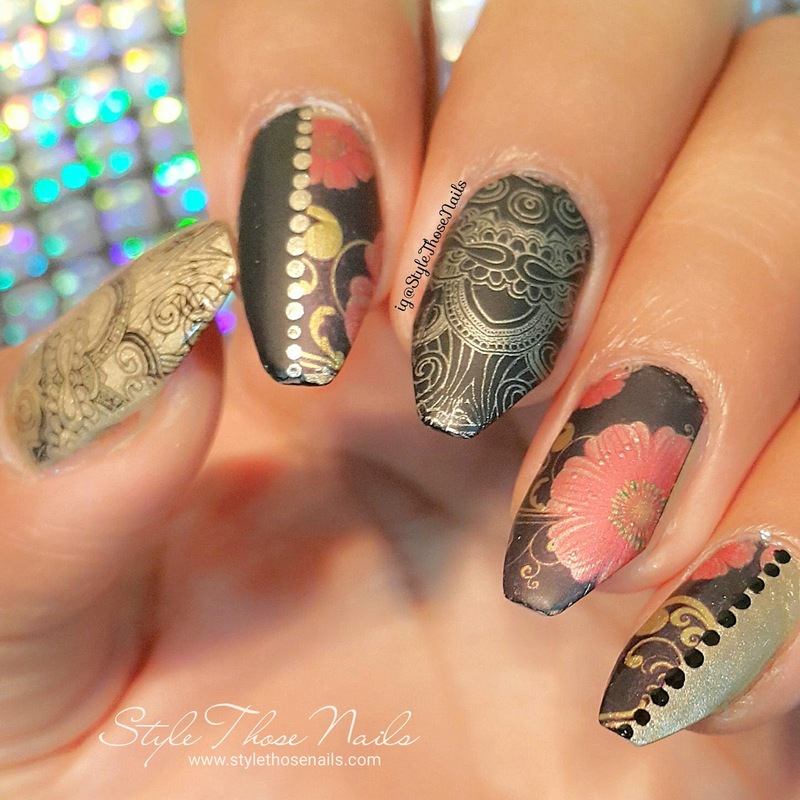 In this perticular mani I cut the decals into V shape and then applied on my nails. 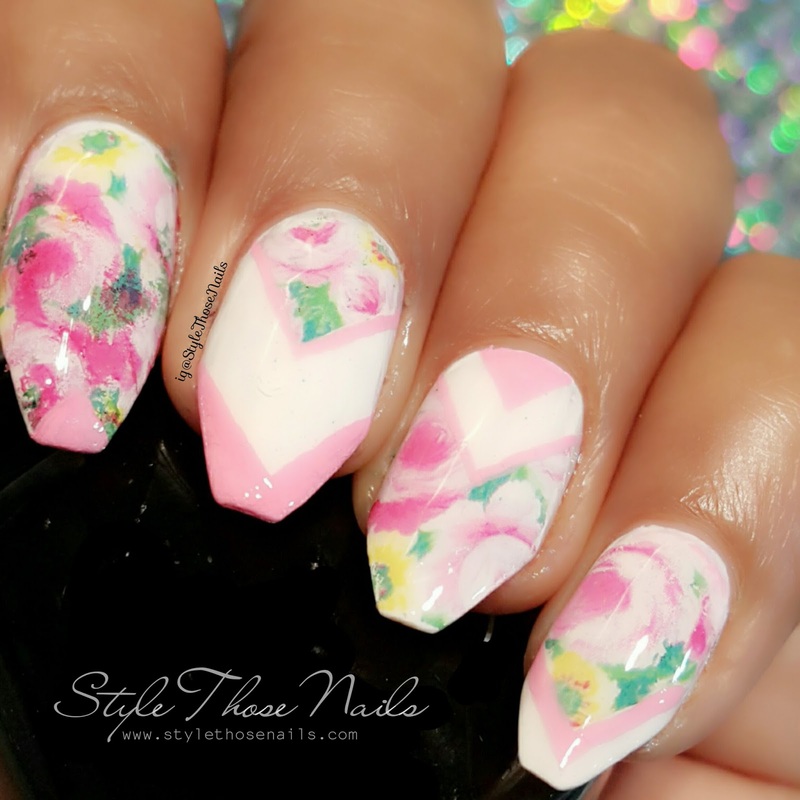 I was trying to get a printed and plain chevron look. I think it came out pretty well. What you think? 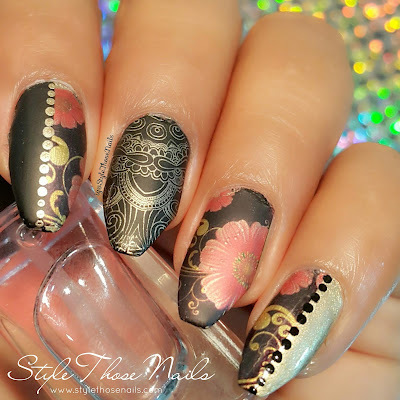 In my second look I went for a mix and match kind of nailart with the theme black and gold. I have a tutorial for this look below so do watch it and let me know your thoughts on it. Below is the tutorial for mix and match nails. If you like to watch on YouTube click HERE and don't forget to SUBSCRIBE. Thanks !! 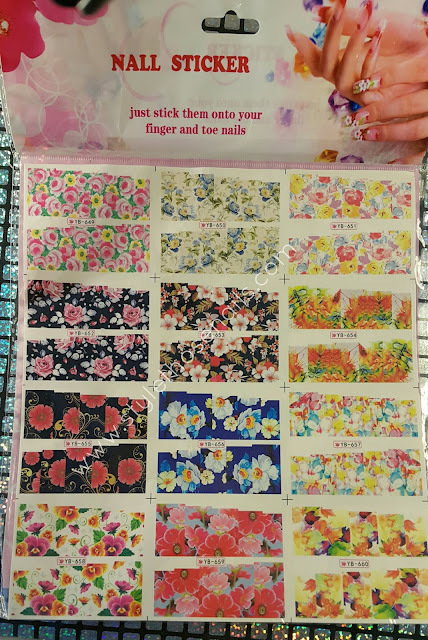 So my final thoughts on Lady Queen water decals- They are lovely, easy to use and don't fade out. 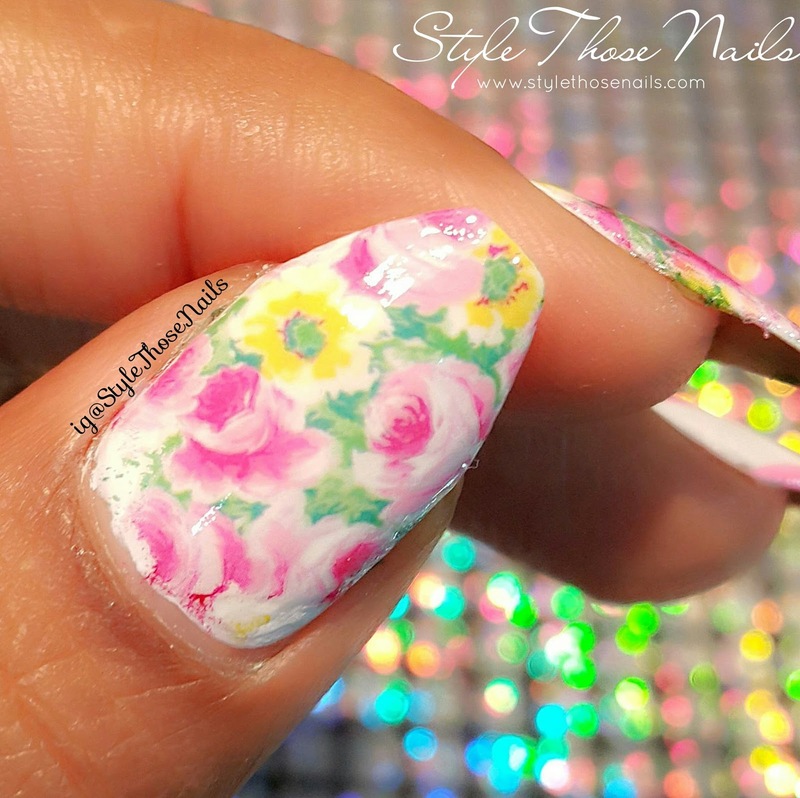 You might need to be careful while applying top coat so that you don't smear the print. 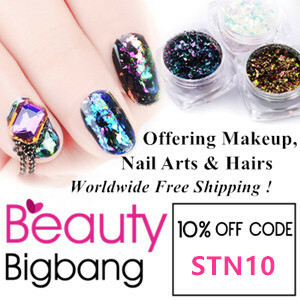 If you are interested in buying these click the link HERE and you can also use my coupon code QWAS15 for 15% discount. Hope you enjoyed this post. I have started a hashtag on instagram #GetCreativeWithDecals so if you have nailart where you used decals in creative ways then do use this hashtag and I will love to see your nailideas with decals.